As a practicing attorney, you may receive calls from longtime clients or clients-to-be who have legal concerns outside of your area of emphasis. When these calls involve personal injury claims, you may face the same difficulties as your clients. How do you find a law firm that you can trust to take on this case, and compensate you for referring the case? 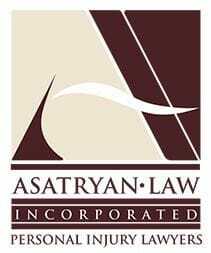 At Asatryan Law, we welcome any and all personal injury referrals from fellow attorneys. If we take on the case, we are more than happy to provide you with a referral fee for passing along the potential client to us. We handle all types of personal injury cases at our firm, save for medical malpractice matters. There is no case that is too big or too small for us to take on. Whether your client has been injured in a serious trucking accident or has soft tissue injuries from a small fender bender, we would be glad to talk about how we can help. Additionally, if you are a California attorney who has a client who is injured while in Nevada, one of our lawyers, Liya Arushanyan, is licensed in Nevada. The courts in the state are very strict about who may represent clients in these matters, and it is extremely important to have someone who has experience handling cases there. If you have any questions about our attorney referral services, please call our Van Nuys office at 818-922-8779 or send us an email. Armenian, Russian and Spanish are spoken at our firm.